More information has been disclosed regarding the circumstances of an overnight highway crash that claimed the life of one person. 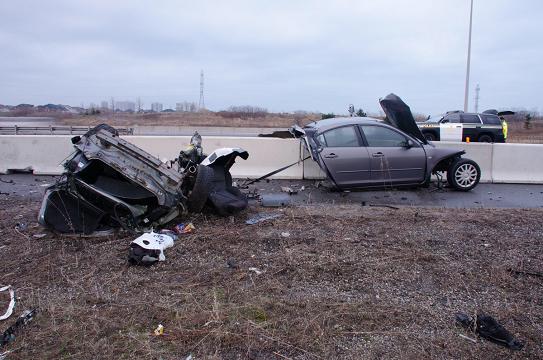 Police got a call around 3:24 a.m. Saturday (April 28) for a single vehicle collision on Highway 403 westbound near Eglinton in Mississauga. 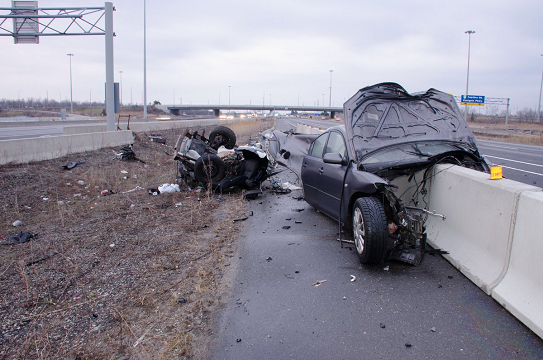 According to OPP Sgt. Kerry Schmidt, police received reports that a vehicle was travelling the wrong way, going eastbound in the westbound lanes. Before officers could get into position to intercept the vehicle, it crashed into a concrete guide rail, Schmidt reports. The driver, a 29 year old Whitby man, was pronounced dead on scene. There were no other occupants in the vehicle. Police are continuing to investigate the circumstances of this incident, including where exactly the vehicle got on the highway and whether or not alcohol was a factor. Anyone who witnessed the incident or who may have dashcam footage is asked to contact Port Credit OPP at 905-278-6131.